What happens in Baton Rouge if your Lawyer does not file your lawsuit appeal on time? You could lose that appeal. The following case demonstrates that Louisiana Courts follow strict procedural rules when it comes to filing for request for new trial. The best lawyers in Baton Rouge know these rules, so choose your lawyer wisely. According to the Louisiana Code of Civil Procedure article 1974, parties to a suit have seven days, exclusive of legal holidays, to apply for a new trial. The time starts to run the day after the clerk mails the judgment or the sheriff has serves the judgment. On October 10, 2012, a judgment was signed against defendant Clarence T. Nalls in the 19th Judicial District Court of East Baton Rough, Louisiana. Notice of the judgment was mailed to both Mr. Nalls and his attorney two days later, on October 12, 2012. Mr. Nalls then proceeded to file a motion for a new trial on November 15, 2012, which was subsequently denied because of its untimely nature. On September 19, 2013, Mr. Nalls filed an order for suspensive appeal from the judgment denying his motion for a new trial. The Louisiana First Circuit Court of Appeal issued a rule on June 5, 2015, ordering the parties to show cause as to whether the appeal should be dismissed as untimely. Mr. Nalls filed yet another untimely response to the rule to show cause, claiming that his motion for a new trial was timely and had therefore, suspended the appeal delays. The U.S. Court of Appeals for the Fifth Circuit affirmed a judge’s dismissal of the People’s Republic of China and a Chinese company, Xiamen, from litigation in the U.S. District Court for the Eastern District of Louisiana. The appeals court agreed with the trial court that the federal judiciary lacked personal jurisdiction and subject matter jurisdiction over the Chinese company and the PRC, respectively. 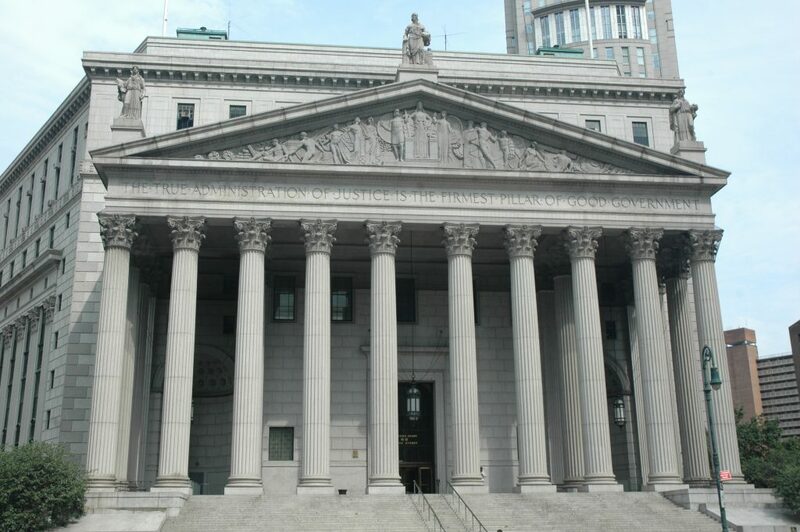 The result was that the district court could not enforce an arbitral award under the United Nations Convention on the Recognition and Enforcement of Foreign Arbitral Awards, also known as the New York Convention. The underlying issue is a contract dispute between Covington Marine Corporation and Xiamen Shipbuilding. Pursuant to their contract’s arbitration clause, the dispute went to arbitration under the rules of the London Maritime Arbitration Association. The tribunal found neither side liable, but issued a separate award requiring Covington to pay 40% of the costs and Xiamen 60%. Xiamen then filed a petition in a Chinese court to have the liability award recognized and enforced. Covington did the same with the costs award. Meanwhile, Covington appealed to the English High Court. The High Court found Xiamen liable, ordered Xiamen to pay 100% of the costs to Covington, and sent back the case to the tribunal for modification of the award. The arbitral tribunal changed their ruling and Covington petitioned the Chinese court to recognize the new awards. Doctors at the Women and Children’s Hospital in Lake Charles, Louisiana, botched Beverly Lebouef’s surgery in 2003. Eventually Lebouef sought legal advice and brought action against her surgeon. Much later in the pre-trial phase, arguably over a year later, she added a new doctor to his lawsuit who had helped perform one of the surgeries. The question is not about prescribed medication, but “prescription periods” and the accompanying rules. In Louisiana, no action for damages for injury against any physician or hospital shall be brought unless filed within one year from the fate of the alleged act or negligence or within one year from the date of discovery of the alleged act or negligence. This period is considered a prescriptive period. Prescription begins when a plaintiff becomes aware of facts that would suggest to a reasonable person that he or she suffered injury that could be remedied by law. Prescription starts even if the plaintiff does not have actual knowledge, but constructive knowledge, which is the minimum amount of notice required to make the injured plaintiff aware and allow for the injured plaintiff to inquire further. If the notice is enough to make reasonable victim aware, then prescription has begun. A plaintiff’s apprehension that something is wrong does not start prescription except when the plaintiff knew or should have known through reasonable diligence that the plaintiff’s issues may have resulted from medical malpractice. The crucial issue is the plaintiff’s reasonableness in taking action or not acting, which considers the plaintiff’s education, intelligence, symptom severity and the defendant’s conduct. Going to the hospital can be an unsettling experience. There are many ways treatment can go wrong and result in serious injury or death. Medical conditions can be misdiagnosed or wrongly diagnosed, wrong prescriptions or doses can be prescribed, and surgical errors can occur. When these mistakes happen and a medical malpractice lawsuit is filed against a doctor and hospital, the trier of fact must determine three elements in order to decide whether or not medical malpractice occurred, which often requires a careful examination of a doctor’s standard of care. In a recent case heard by the Court of Appeal for the Second Circuit, Crockham v. Thompson, a woman filed a medical malpractice lawsuit against her mother’s doctor and hospital after her mother died from a brain hemorrhage induced by high blood pressure. According to the lawsuit, the mother had been paraplegic for 20 years and often suffered from bowel blockages. In this instance, the woman went to the hospital to have a blockage removed, but failed to get better after the operation was completed. The plaintiff took her mother back to the hospital where she was given oral medication for her high blood pressure, but she later suffered the stroke and her family chose to take her off life support. In her wrongful death claim against the doctor, the plaintiff in this case claimed the doctor breached his duty of care to the deceased. The plaintiff claimed the blood pressure medication should have been given intravenously rather than by pill because the pill would have bypassed her mother’s non-functioning bowel. Also, the plaintiff suggested the standard of care had been breached because the doctor failed to make his daily round in the morning, failed to admit the patient to the ICU, and failed to develop a cardiovascular profile for the patient. The plaintiff supported her argument with the fact that the hospital’s medical board had found the doctor breached the standard of care. However, at trial, a jury found for the doctor and denied the plaintiff compensation. The Court of Appeal affirmed. Imagine taking your mother to the emergency room for abdominal pain and vomiting. A CT scan and x-ray do not reveal any serious medical issues, and blood work merely shows that her potassium level is low. But within a few hours, she is dead. Now imagine witnessing her death – seeing her break out in convulsions, foam at the mouth, gasp for breath, and lose consciousness. Such was the experience of one of Virginia Martin’s thirteen adult children. Ms. Martin’s daughter, Betty Farmer, brought her to the emergency room after Ms. Martin complained of abdominal pain, vomiting, and diarrhea. Ms. Martin was 69 years old, and she was otherwise in very good health at the time of her hospital visit. She did not have any heart problems or other serious health-related issues. The ER physician determined that she suffered from simple gastroenteritis. A chest x-ray came back normal. Ms. Martin began to receive pain medication via an IV, and her blood work revealed that her potassium was low. A CT was performed and showed that there were no abdominal abnormalities that could have caused her gastric distress. Ms. Martin returned from the CT scan to the ER at 9:35 p.m. By 9:44, Ms. Martin started convulsing, her face turned red, she began to foam at the mouth, and her eyes rolled into the back of her head. She lost consciousness, and efforts to resuscitate her failed. Her cause of death was listed as acute cardiac arrhythmia and arteriosclerotic heart disease. In Louisiana, a civil law doctrine known as “prescription” limits the amount of time that may pass before someone files a lawsuit. Prescription is the extinction of a right of recovery and occurs due to a failure to exercise that right over a period of time. In other states, this doctrine may be referred to as a statute of limitations or a statute of repose. Louisiana’s prescription period for filing a lawsuit based upon personal injury is one year. Often this doctrine is not an issue in litigation, but in a recent case in St. Tammany Parish, one doctor’s objection of prescription has fundamentally altered the life of a woman, alleging to have suffered from medical malpractice. On November 21, 2008, Glenda DeBram was hospitalized by her attending physician, Dr. Keshelava, after complaining of painful urination, fever, and cough. On October 15, 2009, pursuant to LSA-R.S. 40:1299.47(A)(2)(a), Ms. DeBram filed a request for a medical review panel with the Patient’s Compensation Fund. According to her request, Ms. DeBram alleged that St. Tammany Parish Hospital and Dr. Keshelava fell below the standard of care owed to her between November 21, 2008 and October 20, 2009. Subsequently, Dr. Keshelava filed a peremptory exception raising the objection of prescription, arguing that Ms. DeBram’s complaint was prescribed on its face as it was filed on January 29, 2010, which was more than one year following her discharge from the hospital stay during which she claims Dr. Keshelava and the hospital breached the standard of care. As such, on September 16, 2010, the trial court sustained the exception and dismissed Ms. DeBram’s medical malpractice claims.